The Los Angeles Lakers will likely be on the hunt for a star to play alongside LeBron James next offseason, and if James has any say in the matter, Portland Trail Blazers guard Damian Lillard could be on L.A.'s radar. On Wednesday's The Ringer podcast, Kevin O'Connor (h/t Nico Martinez of Fadeaway World) said LeBron desires to join forces with Lillard: "LeBron wants to play with Damian Lillard. He's one of the guys he'd like to play with, and that's chatter around the league. It has been since before LeBron signed with the Lakers; it was one of the many indicators that he was heading there." On Tuesday, ESPN's Zach Lowe noted James "respects" Lillard's game. He also called Lillard a perfect fit alongside LeBron. 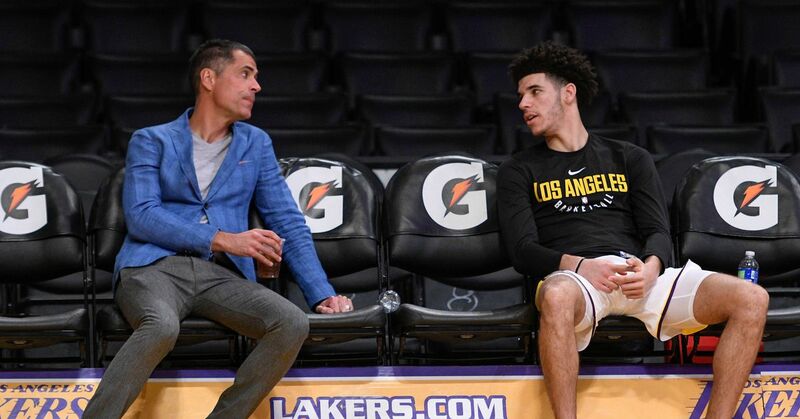 Lowe reported that a blockbuster trade sending guard Lonzo Ball and other assets to Portland for Lillard was a possibility. Lillard has three years remaining on his contract, but he is playing for a Portland team that has been unable to make a splash in the playoffs. Although the Blazers have reached the playoffs in each of the past five seasons, they have yet to make it past the second round. The 28-year-old Lillard is a three-time All-Star who is coming off perhaps his best season, as he averaged 26.9 points, 4.5 rebounds and 6.6 assists in 2017-18. Lillard's game is somewhat similar to Boston Celtics guard Kyrie Irving's, and the LeBron-Kyrie pairing yielded three NBA Finals appearances and one championship in Cleveland. If L.A. can land Lillard without giving up rising stars in Brandon Ingram and Kyle Kuzma, the Lakers will have a group capable of challenging in the stacked Western Conference. Can your team find a backcourt sleeper?